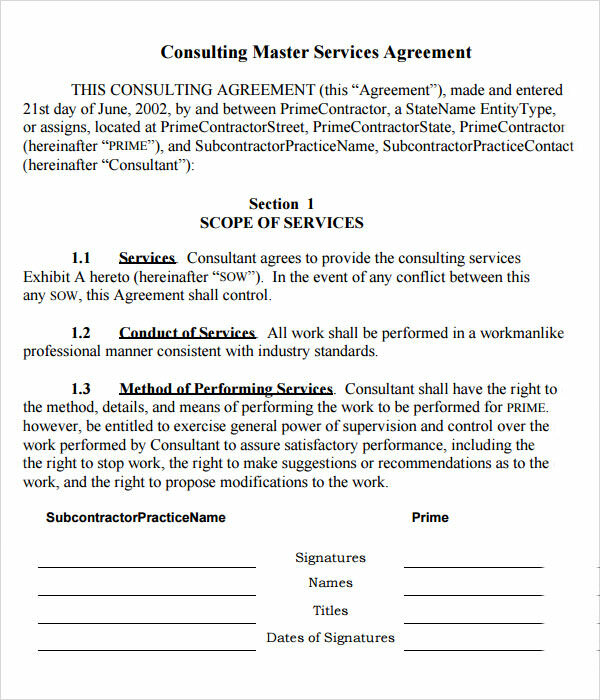 Is there a particular firm that your own firm has a lot of transactions with? 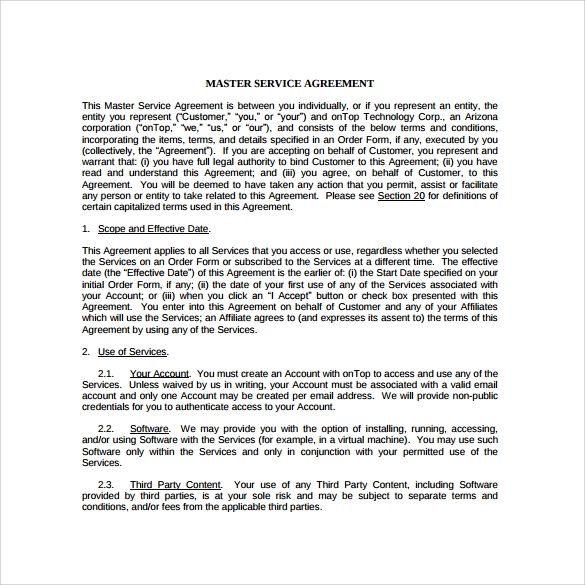 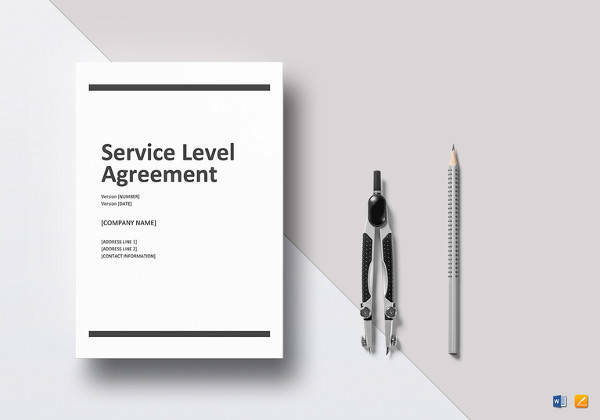 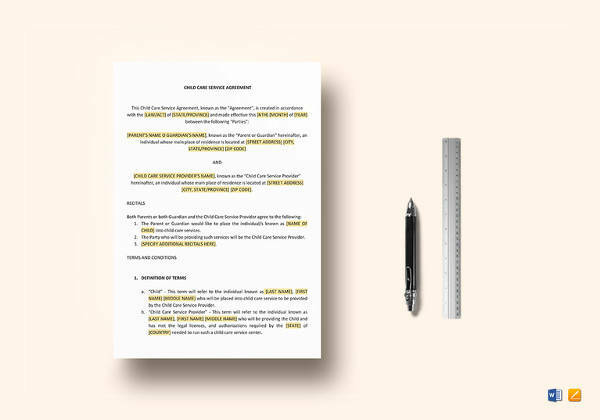 To make things a little less time-consuming, you can draw up a master service agreement. 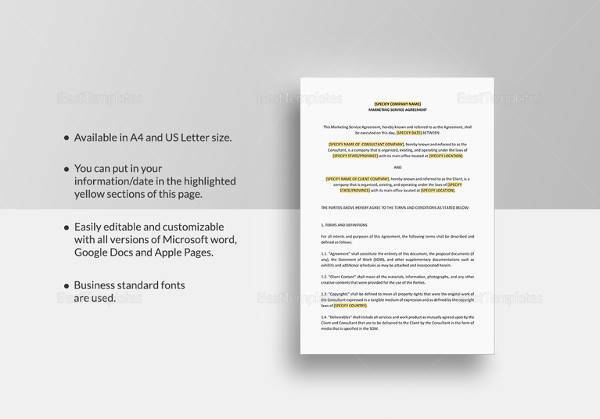 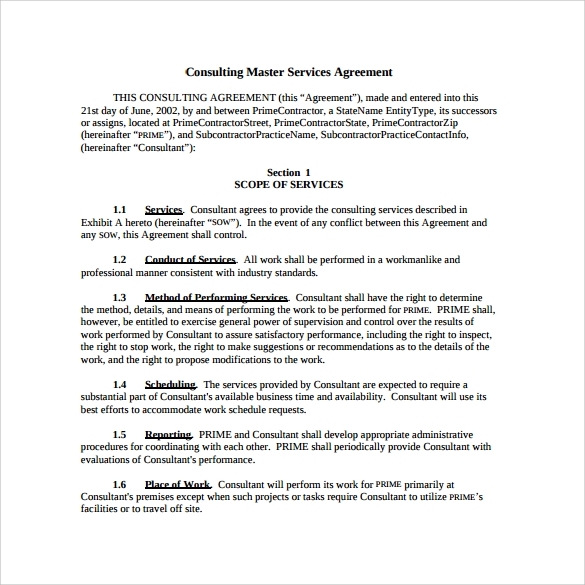 These master service Contract Agreement Templates are available in both Word and Excel formats – some of them are paid premium ones, while some are free. 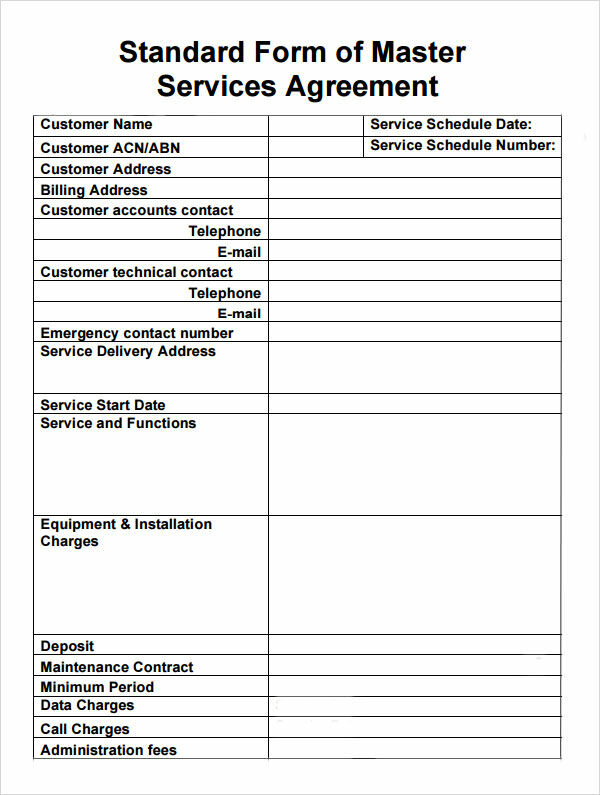 Simply download them, print them out and fill in the blank spaces for a speedy process. 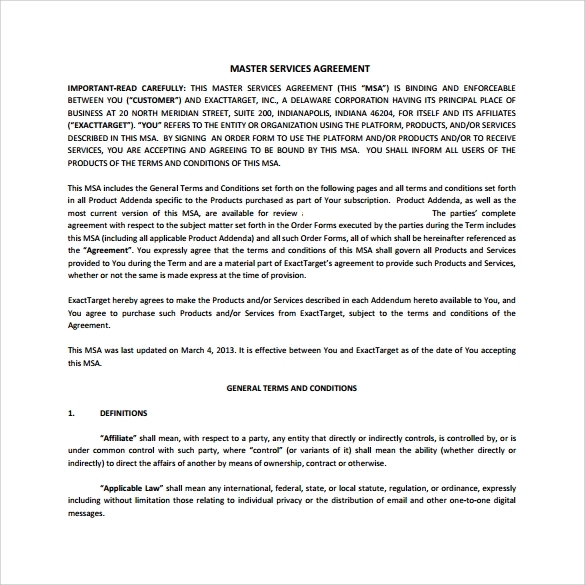 Master service agreements provide a blanket contract for a number of business transactions, which not only saves time but also reduces the hassle of repetitive negotiations. 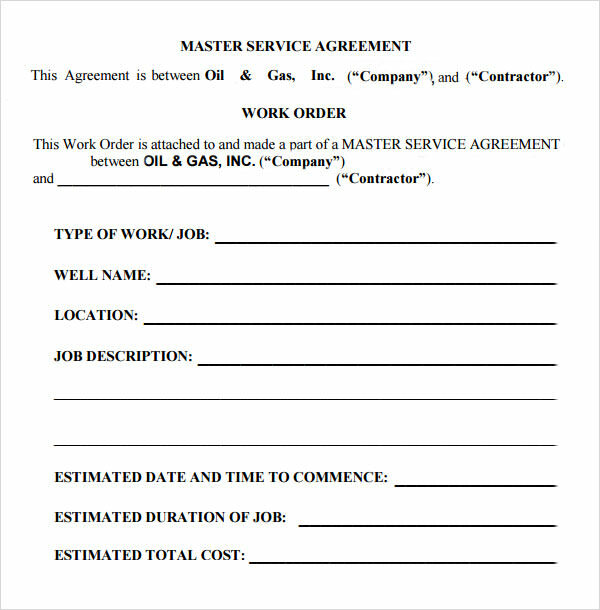 The more specific details like location of work, schedule of delivery and period of performance are taken care of in the individual Statements of Work. 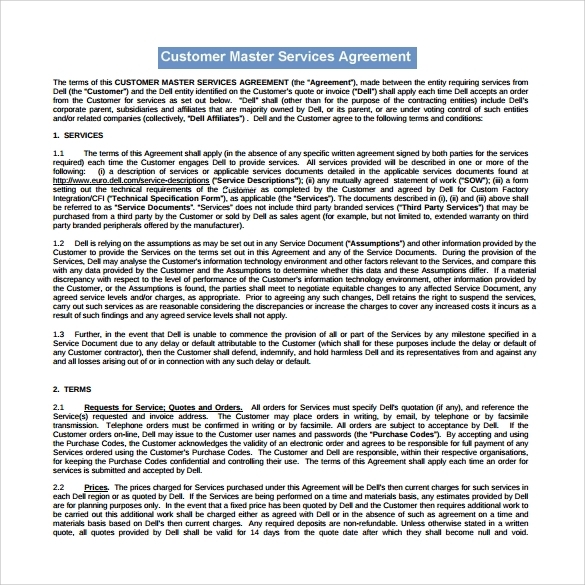 The master service agreements are used when the parties involved see eye-to-eye regarding most of the business terms and want to skip on negotiations of the same nature every time. 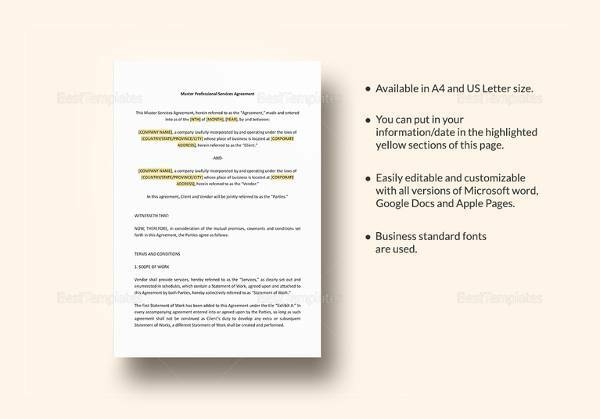 What this agreement basically does is that it sets down basic terms for most of the Sample business Templates deals between the two parties concerned, but not for all of them. 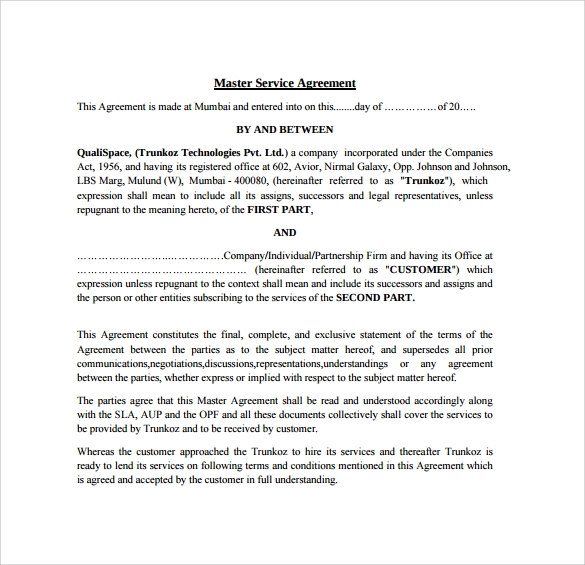 For example, some of the terms ironed out in master service agreements are ownership of intellectual property, resolution of disputes, payment and delivery terms, warranties of products, indemnification, etc. 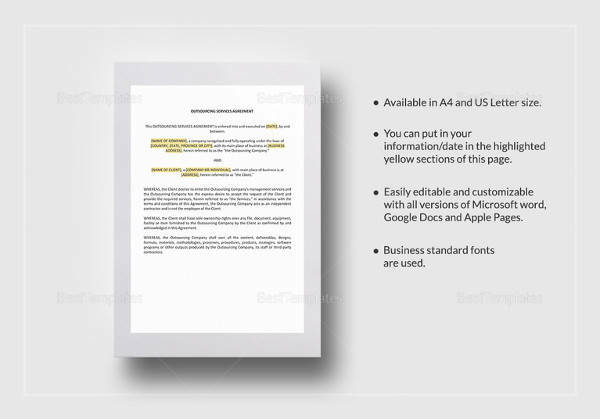 These sample templates can be easily modified according to your needs. 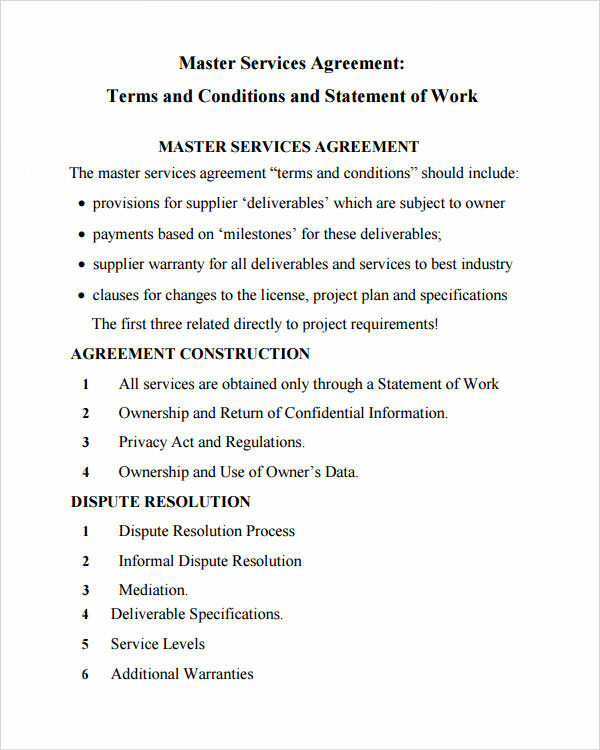 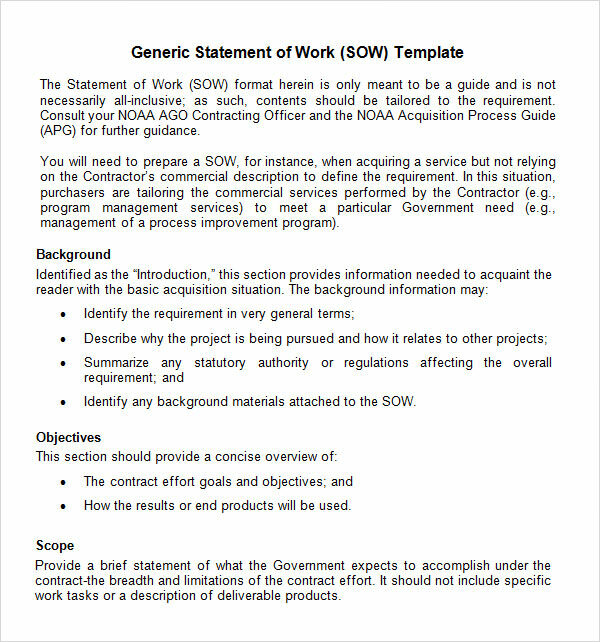 Once an master service agreement is in place, all you have to do for the subsequent business transactions is add a Statement of Work – it will work as a rider to the agreement, detailing the specifics of the project under consideration. 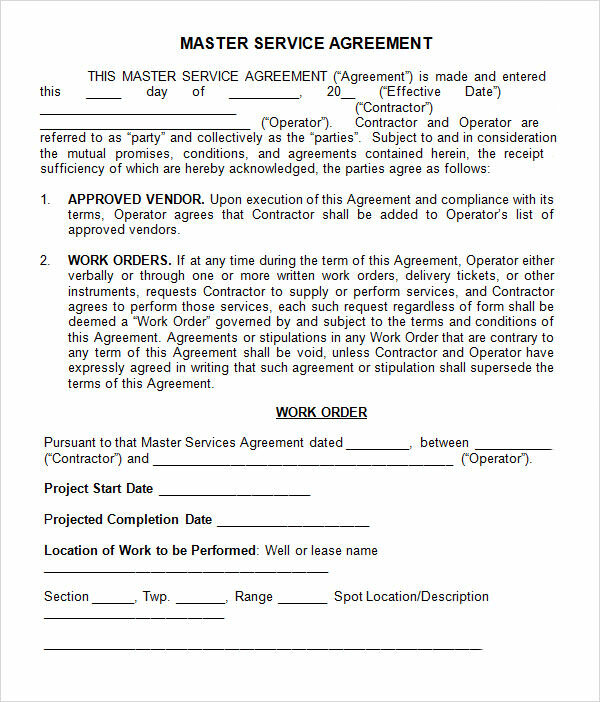 These agreements are mostly used by companies dealing with information technology, union negotiations or researches conducted on contract-basis.